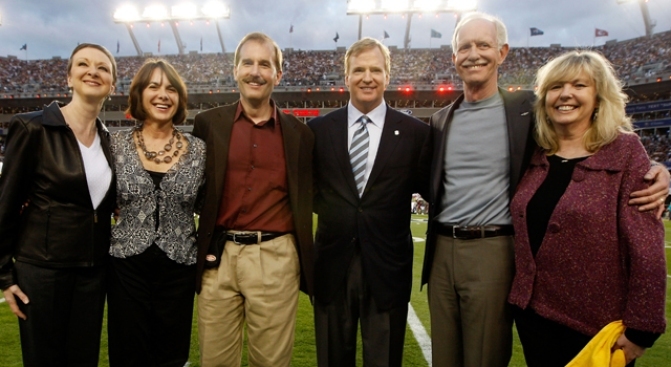 Captain Chesley B. Sullenberger III (2nd R) and the US Airways Flight 1549 crew pose for a photo on the field prior to Super Bowl XLIII on Feb. 1, 2009. Watch live as hero pilot Capt. Chesley "Sully" Sullenberger and the crew of Flight 1549 are presented with keys to the city Monday from Mayor Michael Bloomberg.